UPDATE: Nov 27. 2017: This workshop is canceled due to unforeseen circumstances. We are looking at rescheduling and will post updates. We apologize for the inconvenience. Both classes will be held on Friday, December 1, 2017, at the New Jersey Hospital Association in Princeton. Kate Flewelling from the National Network of Libraries of Medicine, Middle Atlantic Region will be our instructor. 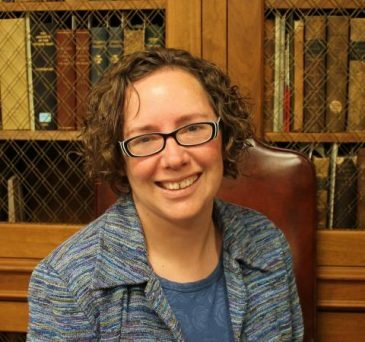 Kate Flewelling, MLIS, is the Executive Director of the National Network of Libraries of Medicine, Middle Atlantic Region (NNLM MAR). Based at the University of Pittsburgh and funded by the National Library of Medicine, NNLM MAR promotes the access and use of high-quality health information for health professionals and the public in NY, NJ, PA and DE. Kate is responsible for leadership, development, administration, and evaluation of all programs of the Middle Atlantic Region, including outreach services such as project funding, training, presentations, exhibits and other types of public programs. Prior to her current position, Kate coordinated outreach to health professionals in the Middle Atlantic Region. A graduate of Mount Holyoke College and University of Wisconsin-Milwaukee, she began her career as an Associate Fellow at the National Library of Medicine. She was recently named one of 50 Distinguished Alumni of the University of Wisconsin-Milwaukee School of Information Studies. Two amazing classes for one amazing low price! This price is less than what we charged last year, so don’t delay, register today!